In protest at this situation, there will be a united demonstration in Barcelona on Sunday 15 April at 11 am, organized by a very broad platform of social movements, including the ANC, Òmnium Cultural, trade unions, the neighbours’ organizations, youth movements, cultural and sporting organizations, the federation of NGOs… It will be a massive call for solidarity with the political prisoners, and with all those suffering the current attacks in Catalonia and increasingly in other parts of the Spanish state. 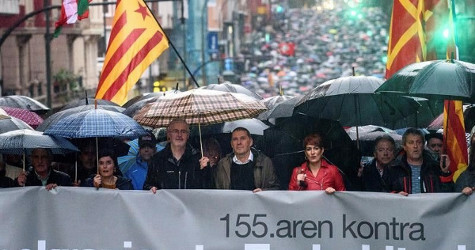 In a manifesto concerning the Catalan prosecutions published in November in the Spanish on-line newspaper El Diario , more than 100 professors of criminal law from throughout Spain state that “it’s seriously mistaken to consider the facts as constituting a crime of rebellion [as defined by] article 474 of the Penal Code” because… the “structural element of this crime, which is violence, is absent.” In fact, as many commentators point out, the violence in Catalonia in the events in question, in September and October, was exercised by the police in their widely publicized efforts to stop the Catalan people from voting in the referendum on independence. “Puigdemont, our president” is a chant that’s heard at any demonstration for Catalan rights against the repression of the Spanish state. 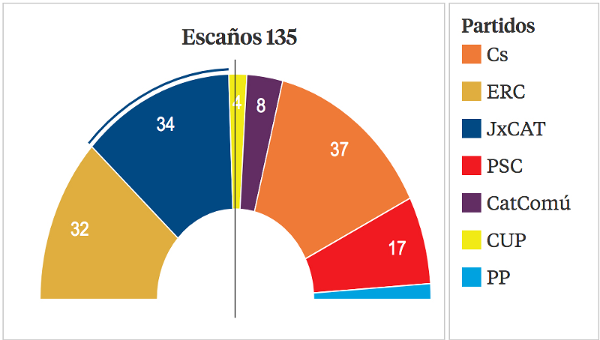 Suso de Toro’s point is that he is the president of any Spanish democrat as well. Capital of Valladolid province and seat of the regional government of Castilla y León. “M. Rajoy” was how the name of Spanish prime minister Mariano Rajoy appeared in the payments column of the PP accounts of former treasurer Luís Bárcenas, presently on trial for corruption. Spanish prime minister’s residence and official seat of the Spanish government. The Gag Law, whose official name is Law of Citizen Safety, has been in force since July 1, 2015. Its provisions cover 44 offences ranging from flashing laser beams at aircraft to organizing unauthorized demonstrations. “Go get ‘em” (a por ellos) was the chant of Spanish-centralist demonstrators gathered outside Civil Guard barracks to send off Civil Guards going to Catalonia to stop the October 1 referendum. For example, members of the Spanish National Police were recorded making offensive remarks about Catalan vice-president Oriol Junqueras on his being sent into detention. The National Court descends from the Franco-era Court of Public Order. The Law governing the Constitutional Court was amended in October 2015 to give it powers to punish those judged to have disobeyed its rulings. The former president of the Catalan government mentioned is Artur Mas. Pablo Pérez Tremps, member of the “progressive sector” of the Spanish judiciary, is an expert in relations between the legal and constitutional branches of the Spanish justice system who was also a member of the Constitutional Court. 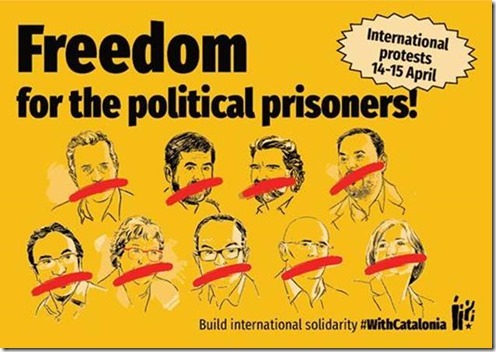 During the appeal of the PP against the constitutionality of the Catalan Statute, his impartiality was questioned by lawyers for the PP case: their submission against his sitting on the case was carried six to five by at a full bench session of the Constitutional Court. 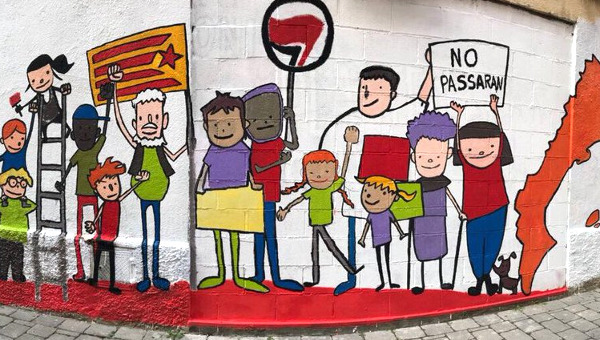 “Catalanism” is a broad concept that basically means recognition and affirmation of the value of Catalan society, language, culture and institutions. It can apply to supporters of independence as well as those seeking a different relation between Catalonia and the Spanish state. That is, the transition from the Franco dictatorship. The Statute as first adopted by the Catalan parliament was later “given a brush” (cepillado) – expression of PSOE leader and Spanish centralist Alfonso Guerra – by the Spanish parliament. 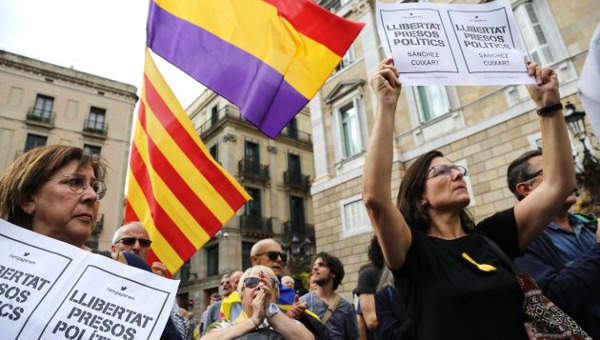 The Spanish solicitor-general identified 85 articles in the Catalan Statute challenged by the PP that were already contained in other Statutes. Articles finally ruled unconstitutional by the court were already in operation in Andalusia and the Valencian Country. As outlined in his book The Impossible Constitutional Reform . In 1977, Josep Tarradellas, president of the Catalan government (Generalitat) in exile, returned to Spain where he negotiated with Spanish prime minister Adolfo Suarez the re-establishment of the Generalitat as the legitimate government of Catalonia. King Juan Carlos, father of the present incumbent.